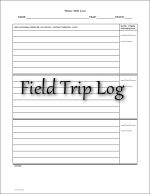 Use these basic forms to record outside activities whether they are personal, homeschool meetings, or field trips. 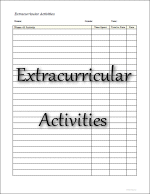 Keep the phone numbers, email addresses, URL's, and children names of the homeschoolers you meet. 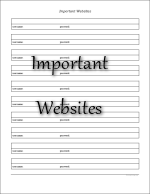 A simple form that you can use to record website URL's, user names and passwords. 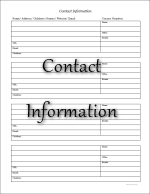 This form is not meant to leave your home. It is best to file this one in a safe place. 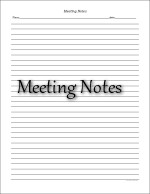 Regarding the Typeable PDF file above; I make not guarantees regarding the usability of the file. If the file does not work as expected, then it just doesn't work and I cannot help with that. My advise - Before devoting any time with the file, type some sample text in it, save the file, close the file, and then open the file again to see if the sample text is still there. If it isn't, then this file would serve only as a type-then-print sort of file.